the fruite of the spirit is . . . 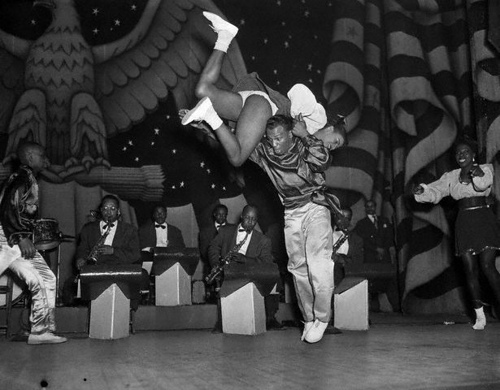 But when the music starts there just ain’t no stopping a natural jitterbug leg. I have the same problema. Click here for more about this comic who is, along with Steve Martin, a huge favorite of baby boomers. Met some of the nice folks at the Belize Wildlife & Referral Clinic the other day. They do great work at the clinic restoring suffering birds and other exotic wildlife. 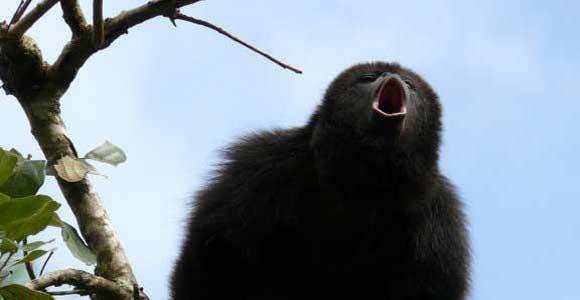 They saved the hand of this baby Howler Monkey . . . .
Around 6 on most any evening I can walk behind my house to the river, sit on a limestone rock with my feet in the water and watch the howler monkeys swing through jungle trees on the other side of the stream. Actually I don’t always see them but it’s a trip to watch the trees shaking around when they come swinging. I’m told that when the rainy season is over and Belize turns dry I shouldn’t be surprised if I see one drinking and splashing around in the stream a bit. They’ve been known to thrown things–rocks, coconuts and stuff–at people they don’t like for whatever reason. WE never had nothin’ like THAT back on the farm. “I am a woman of valor. I was terrorized as a child – beaten by my father’s belt and bludgeoned by scriptures that were twisted into weapons against my tiny spirit. I survived the abuse by repeating the words: words that said that I was deceitful and desperately wicked, words that condemned my childish mistakes as rebellion, which was as evil as witchcraft, words that justified the stripes on my back. ” But even while obediently parroting these damning phrases yanked out of context, I searched the holy book until I found evidence of another side to God. I dug and dug and found a Messiah who wept for my pain. Down below I’m posting one of the many great essays about “women of valor” that you will find at the Women of Valor website. Click here to view it from Rachel Held Evans’ Web Site. (And if you don’t follow Rachel Held Evans, BTW, you should; she’s as fine a Christian writer, lecturer and blogger as there is, often provocative, always coming from some very sound and deep theology). The essay I’m posting about Beth McHoul was written by Beth’s friend who is a woman of valor in her own right, Tara Livesay. Great women of the faith of the Bible, like Sarah and Ruth and Deborah, are identified as women of valor. I’ve already met a lot of “women of valor” here in Belize, where so many Belizean women and children suffer in what it is, for all its beauty and its image as a paradise and a destination for your “dream vacation,’ still a developing or “Third World” country. The needs of the poor here are enormous, and heartbreaking. But I have a witnessed a lot of compassionate people at work in the trenches with the needy here, heroic people from churches and faith-based organizations and NGOs, quietly doing heroic work. And of course not all of those people of valor are women, but it seems that most of them are at that. One of them, a woman originally from England, has a clinic a mile away from my village home, where in conjunction with the Catholic Church in the nearby Village of Benque, where she never misses evening mass, she provides all sorts of basic health care services, including nutritional, hygienic and health-care education, to enormous numbers of Belizean women. Her story will be featured here at the blog that is saving the world soon. Meanwhile, here’s that essay about one of the many heroes slugging away to lift people up in Hait, that other, incredibly battered and long-suffering Caribbean nation–the poorest place on earth, not far from Belize. A partial list of American military involvement since 1982 includes Lebanon, Grenada, Chad, Libya, Honduras, Bolivia, Colombia, Peru, Philippines, Panama, Iraq, Kuwait, Somalia, Bosnia, Macedonia, Haiti, Serbia, Afghanistan (currently, America’s longest war), Sudan, Iraq (again, after years of crippling sanctions that killed half a million children), and Libya (again). This is not an exhaustive list, it doesn’t include covert attacks, special operations, or America’s special relationship with Israel, which has rained down horror on Lebanon, the West Bank and Gaza. Israeli drones continue to kill people in Gaza on a nearly weekly basis. American drones are currently killing people in Afghanistan, Pakistan, Yemen, and Somalia. Syria and Iran loom on the horizon, with American threats of intervention and war ramping up. — peace activist Johnny Barber, who lives in Afghanistan where he is waging peace. Today is International Peace Day, and it couldn’t come at a better time. 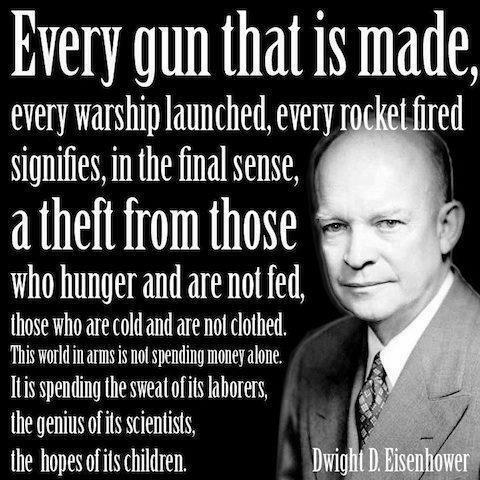 This was said in the context of his reminding the world that weaponry has advanced to such destructive levels that no one can “win” a war anymore. I don’t bring this up to bash W or to reopen old political wounds, but because now the same warmongers are hot to bomb bomb bomb, bomb bomb Iran–if only because the warmongering Prime Minister of Israel, who seems to think he dictates American defense policy, is hot to bomb Iran. How many times since the Vietnam War have I heard somebody say that? How many times did in my chaplaincy in ultra-conservative Dallas did I, a chaplain, have people actually say that to me–that we ought to just bomb some enemy and be done with them–or something similar? Jesus himself directly addressed that piece of scripture in the gospel. Lord God help us navigate these violent times with attitudes of more prayer and seeking real peace and nonviolence, per your will. And let your will for peace on earth, good will for all prevail–as it will, if we don’t blow ourselves into another universe first. On this International Day of Peace I am sitting in Kabul, Afghanistan with a handful of youth that want nothing but peaceful coexistence in their lives. This, in some respects, is like a dream because their entire lives have been surrounded by war, death, corruption, and struggle. Peace has been in short supply. For three years the Afghan Peace Volunteers have worked to develop friendships across ethnic lines in Kabul and various provinces throughout Afghanistan. The work has been difficult, trust is hard to come by in this war-torn land, but they are adamant that nonviolence is the only way forward. I have sat with similar groups in the West Bank, Gaza, Lebanon, Iraq, America, and Israel. Rarely are their voices heard over the drums of war. Established in 1981, by the United Nations General Assembly, the International Day of Peace was to coincide with its opening session. The first Peace Day was observed on September 21, 1982. In 1982, the Soviet Union was increasing its troop presence in Afghanistan and facing fierce fighting throughout the provinces. Thirty years later, Afghanistan is still at war. The opponents have changed, and the weaponry has changed. The War on Terror, armored Humvees, Improvised Explosive Devices (IEDs), suicide bombers, night raids, smart bombs, and drones have all entered the American lexicon. The International Security Assistance Forces (ISAF) as well as the Afghan Army and Afghan Police force, often employing strong-arm tactics, struggle to bring a semblance of security to the countryside. Security in Kabul is tentative as well, with suicide bombings and armed attacks on the rise. On September 18th, a woman rammed a car full of explosives into a van containing nine foreign workers, killing herself, all nine foreigners, their Afghan translator, as well as passersby. While temporary security may be imposed with an iron fist, peace cannot be forced. On September 19th, an Afghan holiday in the remembrance of the death of Burhanuddin Rabbani, a warlord turned “peace envoy” who was killed by a suicide bomber in his home, President Hamid Karzai called on Afghans to pursue peace. A generation that has known nothing but war has little faith in government calls for peace while the very same government loots the country. The government-led peace initiative seems to have died with Rabbani a year ago. A partial list of American military involvement since 1982 includes Lebanon, Grenada, Chad, Libya, Honduras, Bolivia, Colombia, Peru, Philippines, Panama, Iraq, Kuwait, Somalia, Bosnia, Macedonia, Haiti, Serbia, Afghanistan (currently, America’s longest war), Sudan, Iraq (again, after years of crippling sanctions that killed half a million children), and Libya (again). This is not an exhaustive list, it doesn’t include covert attacks, special operations, or America’s special relationship with Israel, which has rained down horror on Lebanon, the West Bank and Gaza. Israeli drones continue to kill people in Gaza on a nearly weekly basis. American drones are currently killing people in Afghanistan, Pakistan, Yemen, and Somalia. Syria and Iran loom on the horizon, with American threats of intervention and war ramping up. Death is a top American export. On the anniversary of September 11th, a hate-filled anti-Islam movie trailer was a catalyst sparking widespread protests and attacks across the world, leading to 30 deaths. On September 19th, a French satirical newspaper, under the guise of “free speech” released vulgar cartoons of the Prophet Mohammad (Peace be Upon Him) adding fuel to an already volatile fire. Peace Day is likely to be fraught with violence, like most any other day. In this electoral season, choosing between Obama and Romney is a huge distraction, there is real work to be done. Our perverse system of endless war needs to be dismantled, our culture realigned. We need to begin again. War is over. Peace is the path. Johnny Barber is in Kabul, Afghanistan, where he is living with the Afghan Peace Volunteers and representing Voices for Creative Nonviolence. 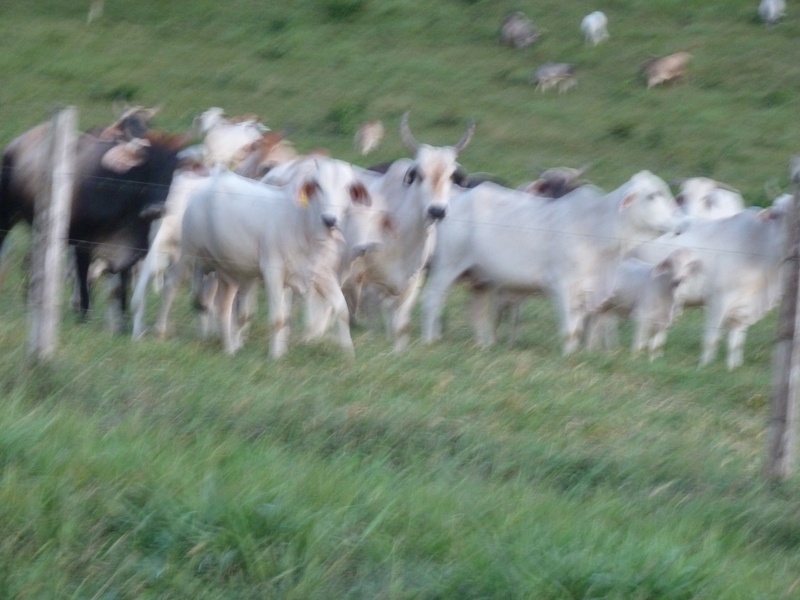 His writing and photos are posted at http://www.oneBrightpearl-jb.blogspot.com and http://www.oneBrightpearl.com. New York Times (conservative) columnist David Brooks: Got just one thing wrong here: He gives Mitt Romney too much credit for kindness and decency. As one who is so saddened watching his country rip in half over “scorched-earth, no-prisoners politics” of the sort in which some semblance of fact and truth generally don’t have a chance, I’ve been astounded beyond words by the now infamous and incredibly divisive “47 percent” comment. Then again, more like angry to the high heavens about it. Or, by turns, saddened, frustrated, angry again. Somebody slap me–I might just throw a mud pie in all of Mitt Romney’s many political faces before I rub some of it in his mouth to gag him before he slings mud on some other good Americans. I think you just revived the Occupy Movement while dragging down the once Grand Old Party even further for an even longer time. Every time I start to wonder if every conservative in America hasn’t lost his or her moral bearings by buying into all the Fox News fantasy facts and other far-right propaganda, some healthy conservative voice comes along and restores my faith in American conservatism to come to its moral senses someday. More often than not, the voice of reason and morality that restores that faith is David Brooks. 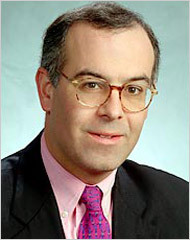 The always incisive and reasonable and articulate conservative David Brooks–and he is a genuine conservative as opposed to some “neo” conservative warmonger or a loud clown from the Tea Party or a propagandist like Rush and Sean and O’Reilly–should win a Pulitzer for his New York Times column below. Of course, it’s thoughtful and reasonable think pieces like this that give the rabid conservatives and the hopelessly out-of-touch Romney’s cause to hate Brooks and the horse he rides into the New York Times on. I’m sure there is some kindness and decency inside the man Romney somewhere, but when a Presidential candidate, who will have to be a moral leader for the world as well as a national government leader, is willing to dismiss almost half the people of American in such thoughtless and reckless way–and not just this once but repeatedly–“kindness” and “decency” are not words that spring to mind. Shame on you, Mr. Romney, for your utter contempt of so good Americans that you have never in your pampered and sheltered life had the pleasure of getting to know. In 1980, about 30 percent of Americans received some form of government benefits. Today, as Nicholas Eberstadt of the American Enterprise Institute has pointed out, about 49 percent do. In 1960, government transfers to individuals totaled $24 billion. By 2010, that total was 100 times as large. Even after adjusting for inflation, entitlement transfers to individuals have grown by more than 700 percent over the last 50 years. This spending surge, Eberstadt notes, has increased faster under Republican administrations than Democratic ones. There are sensible conclusions to be drawn from these facts. You could say that the entitlement state is growing at an unsustainable rate and will bankrupt the country. You could also say that America is spending way too much on health care for the elderly and way too little on young families and investments in the future. “Sure, there are some government programs that cultivate patterns of dependency in some people. I’d put federal disability payments and unemployment insurance in this category. But, as a description of America today, Romney’s comment is a country-club fantasy. It’s what self-satisfied millionaires say to each other. It reinforces every negative view people have about Romney. . . It says that Romney doesn’t know much about the political culture. Americans haven’t become childlike worshipers of big government. On the contrary, trust in government has declined. The number of people who think government spending promotes social mobility has fallen. Romney’s comments also reveal that he has lost any sense of the social compact. In 1987, during Ronald Reagan’s second term, 62 percent of Republicans believed that the government has a responsibility to help those who can’t help themselves. Now, according to the Pew Research Center, only 40 percent of Republicans believe that. The Republican Party, and apparently Mitt Romney, too, has shifted over toward a much more hyperindividualistic and atomistic social view — from the Reaganesque language of common citizenship to the libertarian language of makers and takers. There’s no way the country will trust the Republican Party to reform the welfare state if that party doesn’t have a basic commitment to provide a safety net for those who suffer for no fault of their own. Sure, there are some government programs that cultivate patterns of dependency in some people. I’d put federal disability payments and unemployment insurance in this category. But, as a description of America today, Romney’s comment is a country-club fantasy. It’s what self-satisfied millionaires say to each other. It reinforces every negative view people have about Romney. SEEMS LIKE EVERYTHING IN GUATEMALA IS REALLY, REALLY PRETTY IF YOU KNOW WHAT I MEAN AND I THINK YOU DO. 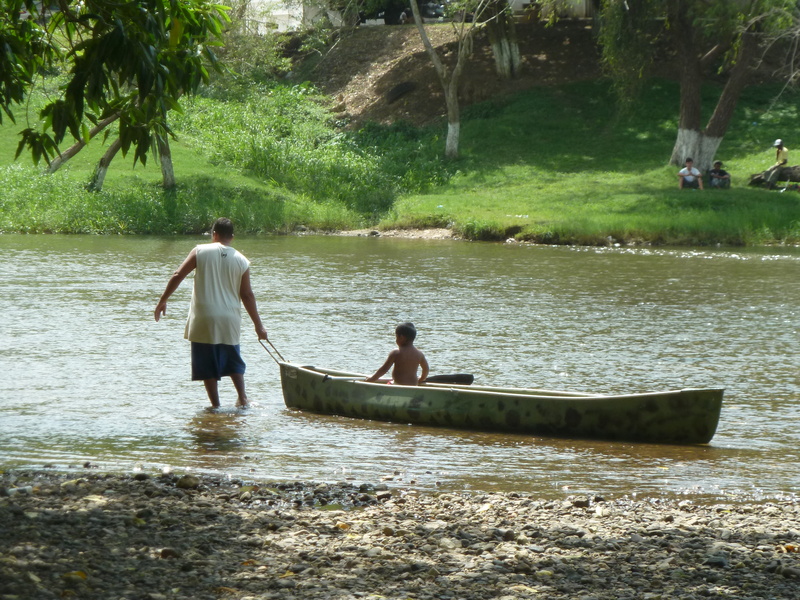 I think I’ll rent myself a blue canoe and drift down the beautiful Macal River a while today. Of course, I’ll need some tunes when I’m done and go cool down at the cantina with a Beliken, the outstanding National Beer of Belize. SEEMS LIKE THE WORK OF ALL THOSE TORTILLA MAKERS IN LATIN COUNTRIES IS NEVER DONE. 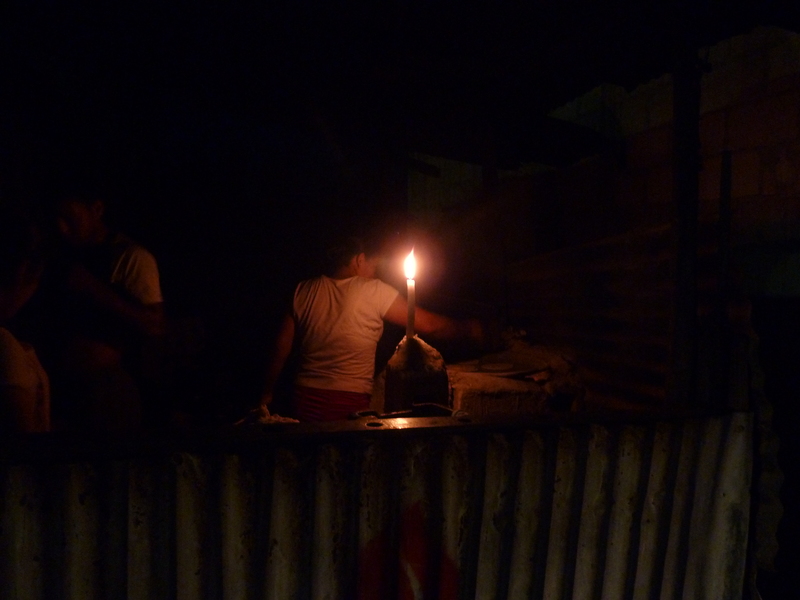 THIS ONE WORKING BY CANDLELIGHT, LATE AT NIGHT, IN MELCHOR, GUATEMALA. Before there was His Greatness the insane and insanely original Dave Matthews and his Fabulous Band–one of those acts that has to be experienced in a live show to appreciate the showmanship as well as the great musicianship–there was His Kooky Greatness Jethro Tull. WHAT. HAVE YOU NEVER SEEN A GRINGO??? YOU WANT TROUBLE???? YOU WANNA BE MY SUPPER TONIGHT??? THE FATHER OF THE NATION OF BELIZE, GEORGE PRICE. AS A NATIONAL ACTIVIST AND LEADER HE MOVED CONSTANTLY AMONG THE PEOPLE OF THE NATION HE LOVED IN THE MOST REMOTE OF VILLAGES AND HOMES. HE WORKED TIRELESSLY–AND WITH A COMMITMENT TO NON-VIOLENCE–TO FREE BRITISH HONDURAS OF BRITISH RULE AND MAKE IT THE INDEPENDENT NATION OF BELIZE IT IS TODAY, FOR BETTER OR FOR WORSE. 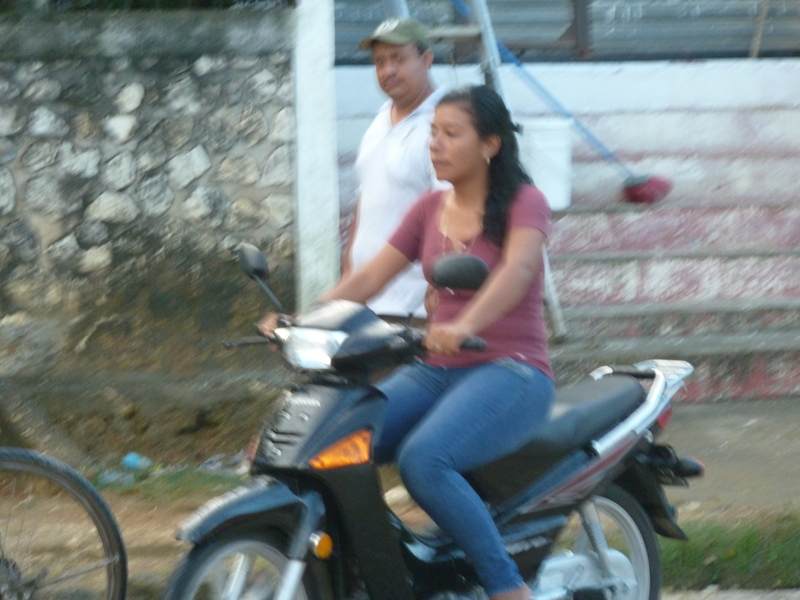 BELIZE REMAINS “3RD WORLD,” ALWAYS DEVELOPING, SUCH AS IT DEVELOPS AT ALL, AT A SNAIL’S PACE. STILL, BELIZEANS WOULDN’T TRADE THEIR INDEPENDENCE AND FREEDOM FOR ANYTHING. “Scrutiny of the life of any remarkable leader is bound to reveal contradictions. [George] Price’s personal lifestyle perhaps threw up fewer contradictions. Like Jamaica’s Michael Manley who used the more tropics-friendly Kariba suit, Price forsook the western style suit in favour of the guayabera. “For the duration of his long career, he owned one suit that he used for international meetings and never abandoned the guayabera. . . .
“Price lived his entire adult life in utter defiance of materialism, owning just a few items of clothing, the barest wooden furniture, and no appliances or stereo equipment; all he owned was a radio. As I noted in a prior posting, Belize celebrates its independence from the Brits every year with all kinds of social and cultural events, complete with parades and fireworks and parties into the wee hours. This year’s Independence Day, Sept. 21, will mark the 31rst birthday of Belize as we know it today. The country was known as British Honduras as a longtime colony of the British Empire. George Price–a wannabee priest who left behind his seminary training and eventually became Belize’s Gandhi, of a sort–worked tirelessly, and like Gandhi and his other hero MLK Jr. worked non-violently— to make his vision of a free and independent Belize a reality. Price remained single and celibate his entire life, like the priest that he always wanted to be. 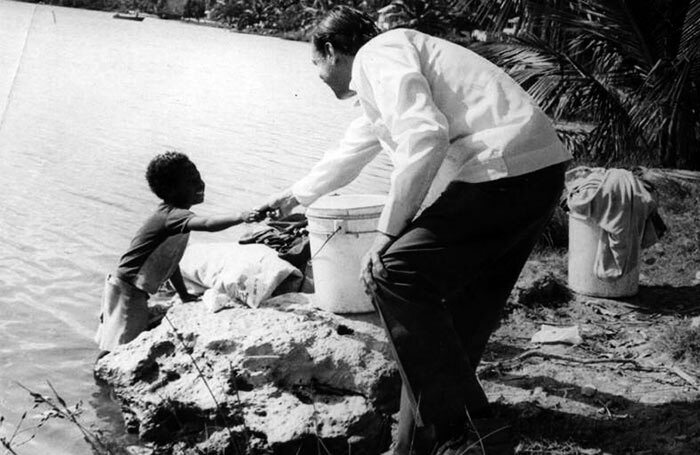 His love for his country and its people, though, superseded even his love of the church–which he attended every day no matter where in the world he was traveling..
Price was quite a humble, tireless activist and leader, and fascinating man, and remains a real hero to the 300,000 people of tiny Belize. Click here for more about this remarkable leader’s life and times.